Engineered and designed to perfection, Vortex Rifle Scopes are the summation of what long range shooting scopes ought to be. They are made in compatibility with the prerequisites of military and law enforcement precision shooters and known for putting the user in an advantageous position in critical situations. The rifle scopes are synonymous with exactitude and high-caliber ranging at overpowering distances, and often placed in comparison with top-tier renditions. But the good news is despite their sophisticated make, they are available at a modest amount and a street price that's below the $1,000 mark. That makes them a coveted choice for both demanding enthusiasts and hard-to-please professionals. 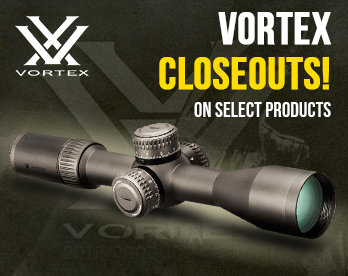 The complete line of Vortex Rifle scopes is punctuated with a host of quality entry level models. Also in the offing is a range of feature-loaded instruments that are capable of obtaining the highest level of performance and giving stiff competition to rival brands. The common features include reliability, all-weather-friendly demeanor and perfect windage and elevation adjustments. 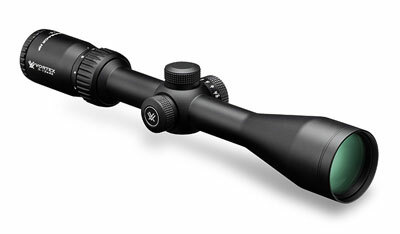 In short, the Vortex Scopes with their high-level repeatability and excellent lenses are forward-thinking to the core. Not to forget the unconditional, transferable, lifetime VIP-warranty that each of the Vortex riflescope comes with. Pick one that best fits your hunting and shooting needs, today.